Piano app developed by Gismart has become the 4th most downloaded game in the world in Google Play in February (source: Appannie monthly index) by overtaking various games like Candy Crush Saga, Clash Royale and Pokemon Go. The piano app is also the 8th most downloaded app worldwide in Google Play and iOS combined in February. 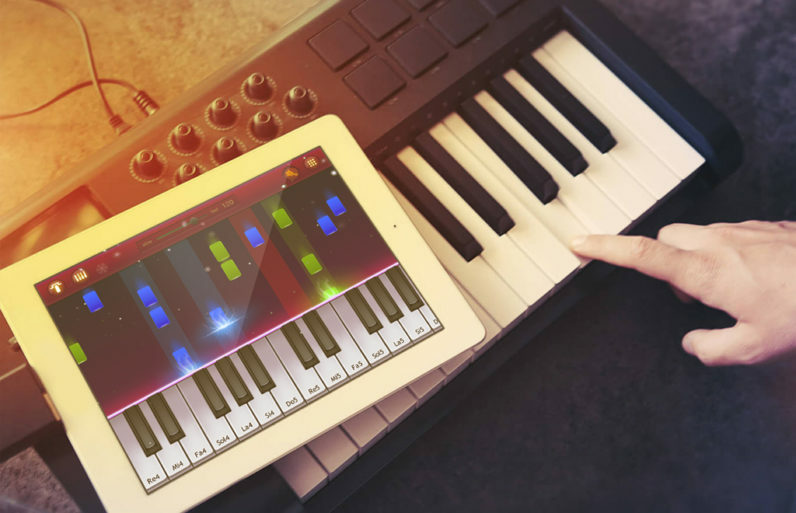 Launched initially as a piano simulator, the app started to gain massive hike in downloads after the introduction of mini-games in a recent update. Gismart is a music app developer that was founded in 2013 in London and have offices in London, UK and Minsk, Belarus. Starting off initially with making musical instruments simulators for mobile, the company had achieved good results. However, Gismart saw the next step to develop the business by entering mobile games market. Introduction of music mini games in Gismart apps was a start of a journey for the company. By adding music mini games, Piano by Gismart stepped into games market and has become an instant success among users. The number of downloads grew so fast that Piano by Gismart became 4th most downloaded games in Google Play in February raising above the biggest names in game market such as Activision Blizzard, Supercell and Niantic. “Right after updating Piano (update in Piano app adding gamification), we could see significant growth in daily downloads. Later on, Google Play featured the app across Play Stores and this is when we could feel a real boost. Our daily downloads at its peak reached 500k new users. Gismart has succeeded added music mini games in the various apps they own, hooking the users to stay addicted on the game, but also learn few music-related basics on the way. Many people out there have a longing to play an instrument. Most of them don’t have any skills and usually find learning process too boring. Gismart scores point by giving everyone an opportunity to start playing musical instruments instantly via fun game, making the experience more exciting and enjoyable to people. Gismart has only placed their foot into the gaming arena and making to the top of games chart is a great achievement. This could only mean that over the time to come, they are going to get better at what they do. The already available mini-games in Gismart apps will only get better in the updates that are yet to come. Beside improving apps available across app stores already, Gismart is working to release new music games and create social app ecosystem for all music lovers to connect and collaborate. Sounds very exciting!